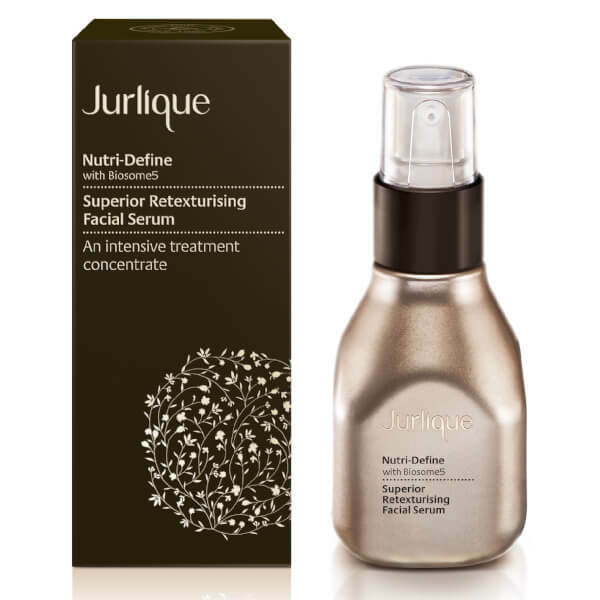 A unique blend of natural ingredients put together to replenish the complexion, the Jurlique Nutri-Define Superior Retexturising Facial Serum works to give you younger looking, naturally radiant skin. The Biosome5 technology boasts five lavish ingredients to soften and tighten the skin, with rosemary leaf, glycogen, peppermint leaf and horseradish forming together to improve elasticity. Finished with licorice, ginseng and mulberry root extracts, it's a must have addition to your daily skin care regime. K.D.